Digital TV transition deadline is February 17, 2009. Will you be ready? See below for your best free information about digital-to-analog converter boxes, FCC coupons, and digital converter boxes. Some of the TV stations in the US will transition from analog to digital broadcasting on Feb 17th. The remaining stations will transition from analog to digital broadcasting between Mar 14th and Jun 12th. In 2009, you will need to have digital TV converter boxes for any analog TVs that you are still using or they simply won’t work! The DTV converter boxes or HDTV converter boxes or tuners will convert the new digital signal into an analog signal. The analog to digital converter boxes or digital conversion boxes will be necessary to view your old TV. We will also provide information on how you can build your own digital-to-analog set-top converter boxes. 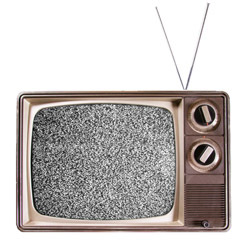 On February 17, 2009, all full power television stations are required to stop broadcasting in analog and continue broadcasting in digital only. This is known as the DTV transition. It is also important to know that the end of analog broadcasting does not mean that consumers must purchase new TVs, and you certainly don’t need an HDTV to watch digital broadcasts. If you currently receive over-the-air programming on an analog television using a broadcast antenna, either through “rabbit ears” on your set or an antenna on your roof, you will only need a digital-to-analog converter box to continue watching broadcast television on that set after February 17, 2009. These boxes will cost approximately $50 to $70, and will be available in stores in beginning in early 2008. Where to Get $40 Discount Coupons. To help defray the cost of digital-to-analog converter boxes, each U.S. household can request up to two coupons, worth $40 each, to be used toward the purchase of eligible boxes. This coupon program is being administered by the National Telecommunications and Information Administration (NTIA). For more information on the coupon program visit www.dtv2009.gov or call 1-888-DTV-2009. Or send written requests to P.O. Box 2000, Portland, Or, 97208-2000. Where to Purchase the Converter Boxes. Digital Stream Technology DSP7500T Digital to Analog DTV Tuner Converter Box The cool thing with this unit is that even if you never had a remote control with your old TV, now you will! Build Your Own Analog-to-Digital Converter Boxes. We will be providing the plans to make your own converter box if you want to save money, as soon as it is available. We are still searching for this. Unfortunately it seems harder than we originally thought. If you have found a source for this, please let us know and we will spread the word! Call the FCC at 1-888-225-5322 (TTY: 1-888-835-5322) or visit their DTV Web site at www.dtv.gov.